Gloves are made from a number of dif- ferent polymeric materials. Each glove will resist chemicals at different per- meation rates and breakthrough times. 2. Frequency/Severity of Contact Permeation tests present a worst case situation of continuous liquid contact with the glove. Immersion of hands in chemical liquids is not a recommended practice. Where feasible, engineering controls and good work practices should be implemented to reduce or eliminate such a practice. 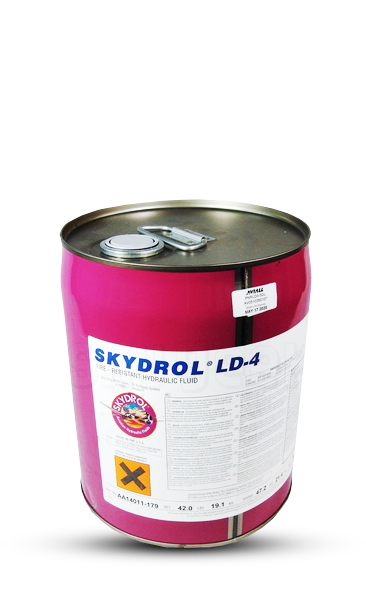 Frequent contact with SKYDROL ® LD-4 would require gloves having higher break- through times and/or lower permeation rates. Frequent replacement of gloves may be necessary to reduce skin cont- amination, especially when operations require repeated removal and donning. Observed changes in glove material consistency should result in immediate removal and disposal of the gloves. The permeation behavior of mixtures can be very different from that of the individual components. The test data given here are for the pure compound. 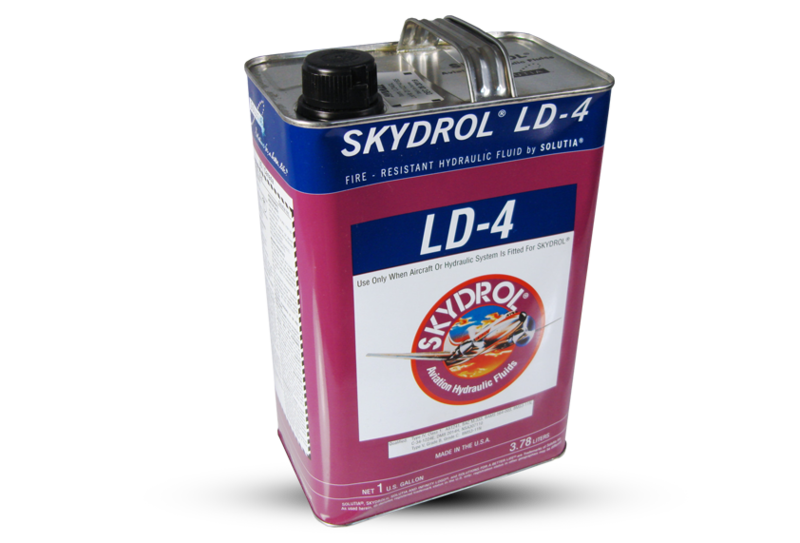 Mixtures with other solvents or dilutions of SKYDROL LD-4 may alter the effectiveness of the gloves listed in this document. The data found in Table 1 are from tests conducted at 23 °C. It should be noted that gloves generally become less resistant to chemical permeation as the temperature increases. An increase in temperature of 10 °C would cause approximately a two-fold decrease in breakthrough time and a similar increase in permeation rate. These tests do not consider thermal protection for handling hot materials. Such use may require different materi- als of construction. As would be expected, permeation varies directly with thickness. The thicker the glove material, the longer the expected breakthrough time; however, thickness may not affect permeation rate. The manufacturing process varies from one manufacturer to another. Consequently, a given glove material from one manufacturer may not have the same breakthrough time and/or permeation rate as one obtained from a different manufacturer when chal- lenged with the same chemical. Tests are conducted using a single lot of a manufacturer’s gloves. The results are manufacturer/glove material spe- cific and are valid only if the manu- facturer maintains high standards of quality control.